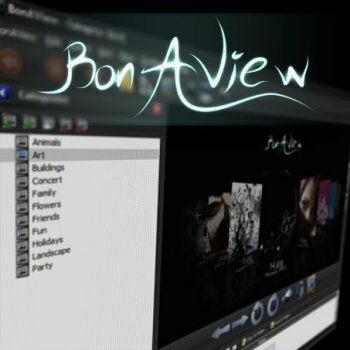 BonAView is the most innovative digital photo management software which have no analogs in his class. It provides an ultimate image management and organization tools which helps you to categorize and rate your image files, and manage photo collections of any size - from a few hundred to a few millions. "You are hereby licensed to: use this Shareware software for a month evaluation period; make as many copies of this Shareware software and documentation as you wish; give exact copies of the original to anyone; and distribute this Shareware software and documentation in its unmodified form via electronic means. There is no charge for any of the above"